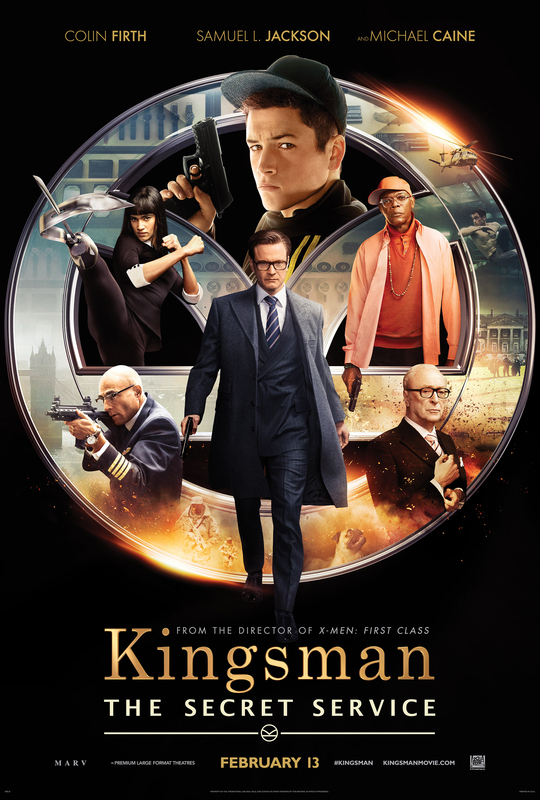 Based on the acclaimed comic book of the same name, “Kingsman: The Secret Service” follows the crude yet capable Gary “Eggsy” Unwin as he evolves from street to 007 status through an aggressively competitive training program. His mission: foil the malicious plot of billionaire, lisp-inflicted Valentine (Samuel L. Jackson) and save the world. What follows is the most outrageously hilarious and successfully riskiest films to hit theaters this year. Satirically taking on the genre of the gentleman spy, the film excels in areas where many films fail. How? Its bold, sarcastic exaggerations grant it a free pass from seemingly all errors in continuity, factual and miscellaneous other goofs. 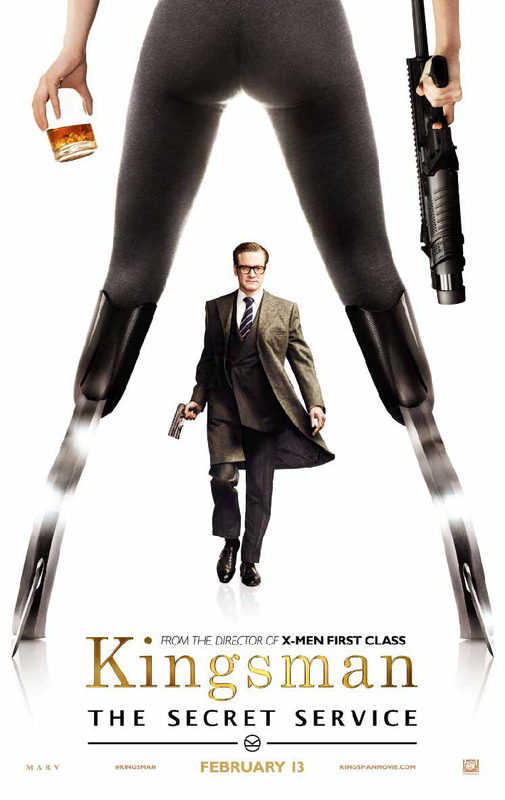 “Kingsman” embraces goofy in such a lighthearted manner, most – if not all – incoherencies are forgivable. “This isn’t that type of movie,” characters would clarify as cliché tropes seemed to creep in. Dialogue even openly discussed popular agents like James Bond (“Casino Royale”), Jason Bourne (“The Bourne Identity”) and Jack Bauer (“24”) as part of the spoof. Much like director Drew Goddard’s “Cabin in the Woods” (2012), “Kingsman” borderlines parody and sarcasm by exploiting the genre’s stereotypes, then suddenly denying those approaching clichés their fulfillment – brilliant! But even with this aforementioned “free pass,” how does the film fare as a whole? Well. Very well. Phenomenally. It’s no “Shawshank Redemption” (1994) in terms of story and character development, but then again, it would be unfair to compare the two. As a matter of fact, I’ll be honest – the story and characters are as straightforward as it gets. But the weight of the film isn’t dependent on elaborate or systematic fluff. It is reliant on entertainment, comedy and beautifully stylized (albeit violent) action sequences – none of which disqualify the story’s ability to survive independently. The point is, even without complexity and profundity, the story is there, well-paced and stimulating. It’s upsetting that “Kingsman” lost the holiday weekend to “Fifty Shades of Grey,” a film originating as fan-fiction from “Twilight.” (Let that sink in.) Despite this poor life-choice of Western society (a conversation I’m willing to save for another time), “Kingsman” exceeded many expectations, taking $42 million from the U.S. box office over the four-day holiday weekend. Considering the overwhelmingly positive reviews and, of course, the lack of serious competition, I expect the film to continue doing well in the coming weeks. Here’s hoping for a sequel! Christian Herrera is the Arts and Entertainment editor of The Huntingtonian. He can be reached at herrerac@huntington.edu.